The decisions of the courts of appeal are binding on the California superior courts, and both the courts of appeal and the superior courts are bound by the decisions of the Supreme Court of California. Notably, all published California appellate decisions are binding on all trial courts. This is distinct from the practice in the federal courts and in other state court systems in which trial courts are bound only by the appellate decisions from the particular circuit in which it sits, as well as the Supreme Court of the United States or the state supreme court. In contrast, "there is no horizontal stare decisis in the California Court of Appeal"; court of appeal decisions are not binding between divisions or even between panels of the same division. Thus, all superior courts (and hence all litigants) are bound by the decision of a court of appeal if it is the only published California precedent that articulates a point of law relevant to a particular set of facts, even if the superior court would have decided differently if writing on a fresh slate. However, another court of appeal division or district may rule differently on that point of law after a litigant seeks relief from an adverse trial court ruling that faithfully applied existing precedent. In that instance, all superior courts are free to pick and choose which precedent they wish to follow until the state supreme court settles the issue for the entire state, although a superior court confronted with such a conflict will normally follow the view of its own court of appeal. All California appellate courts are required by the California Constitution to decide criminal cases in writing with reasons stated (meaning that even in criminal appeals where the defendant's own lawyer has tacitly conceded that the appeal has no merit, the appellate decision must summarize the facts and law of the case and review possible issues independently before concluding that the appeal is without merit). Such procedure is not mandated for civil cases, but for certain types of civil cases where a liberty interest is implicated, the courts of appeal may, but are not required to, follow a similar procedure. Most Court of Appeal opinions are not published and have no precedential value; the opinions that are published are included in the official reporter, California Appellate Reports. The California Constitution originally made the Supreme Court the only appellate court for the whole state. As the state's population skyrocketed during the 19th century, the Supreme Court was expanded from three to seven justices, and then the Court began hearing the majority of appeals in three-justice panels. The Court became so overloaded that it frequently issued summary dispositions in minor cases, meaning that it was merely saying "affirmed" or "reversed" without saying why. The state's second Constitution, enacted in 1879, halted that practice by expressly requiring the Court to issue every dispositive decision in writing "with reasons stated." In 1889, the Legislature authorized the Supreme Court to appoint five commissioners to help with its work. In 1966, the word "district" was dropped from the official names of the courts of appeal by another constitutional amendment which extensively revised the sections governing the state judiciary. This left Florida as the sole state in the United States with "District Courts of Appeal." Since then, each of the courts of appeal has been named officially as "the Court of Appeal of the State of California" for a particular numbered appellate district. The California Court of Appeal for the Second District is one of the first three appellate districts created in 1904 and has its main courthouse in Los Angeles and the secondary courthouse, hosting Division Six, in Ventura. Division Six handles appeals from San Luis Obispo, Santa Barbara, and Ventura Counties, while Divisions One through Five, Seven, and Eight handle appeals from Los Angeles County. Each division has four justices. The California Court of Appeal for the Third District is one of the first three appellate districts created in 1904 and is located in Sacramento. 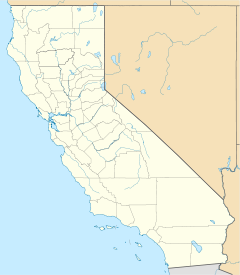 Its jurisdiction is over the following counties: Alpine, Amador, Butte, Calaveras, Colusa, El Dorado, Glenn, Lassen, Modoc, Mono, Nevada, Placer, Plumas, Sacramento, San Joaquin, Shasta, Sierra, Siskiyou, Sutter, Tehama, Trinity, Yolo, and Yuba. It has 11 justices and is not divided into divisions. The Division One courthouse is located in San Diego. It handles appeals from Imperial and San Diego Counties. It has 10 justices. The Division Two courthouse is located in Riverside. It handles appeals from Inyo, Riverside, and San Bernardino Counties. It currently has eight justices. The Division Three courthouse is located in Santa Ana. It handles appeals from Orange County. It has eight justices. Originally, appeals from all of Southern California (including the San Joaquin Valley) were heard by the state supreme court sitting in Los Angeles, and then the Second District took over most of that caseload when it was created in 1904. Lawyers from the rest of Southern California outside of Los Angeles County grew tired of having to travel hundreds of miles to and from Los Angeles just to argue appeals. They lobbied for the creation of a Fourth District that would sit at locations closer to them. Three state senators from San Diego, Fresno and San Bernardino orchestrated the creation of the Fourth District in 1929. As a compromise, the court was created as a "circuit-riding" court that would sit each year in all three of those cities: Fresno (January-April), San Diego (May-August), and San Bernardino (September-December). The California Court of Appeal for the Fifth District is located in Fresno. Its jurisdiction covers the following counties: Fresno, Kern, Kings, Madera, Mariposa, Merced, Stanislaus, Tulare, and Tuolumne. It currently has 10 justices. The California Court of Appeal for the Sixth District is located in the Comerica Bank building in San Jose. Its jurisdiction covers Monterey, San Benito, Santa Clara, and Santa Cruz Counties. It has seven justices.